Fueled by a burning passion for creative work, Amrei founded Vitalstrats Creative Solutions while still in her early 20s. Amrei got her start in the creative field by taking up her Bachelors Degree in Fine Arts, Major in Visual Communication at the University of the Philippines, Diliman. She then went on to pursue several fulltime and freelance stints as a graphic designer, video editor, director, and events organizer, before becoming an “accidental entrepreneur” and establishing VCS. Despite not having any background in business, Amrei didn’t consider this a barrier, as she believed that intentional growth can be achieved by anyone. And as her company grew, she saw the importance of balancing strategy with creativity--nurturing the "whole brain" versus being an extreme, right-brained creative. Knowing this, she went back to school and earned her Masters Degree in Entrepreneurship from the Ateneo Graduate School of Business, where she received a Council of Gurus Award upon graduation. Besides being the Managing Partner, General Manager, and Chief Creative Officer of Vitalstrats, Amrei is active in the marketing and advertising industry. She constantly seeks opportunities aligned with her advocacies: uplifting the Philippine creative / marketing industry, educating and giving back to MSMEs, empowering LGBT leaders, promoting diversity / equality, and caring for the environment. To help forward her advocacies, Amrei serves as a resource speaker for marketing, entrepreneurship, digital, and creativity for schools, companies, and organizations. Amrei is a Certified Professional Marketer (Marketing Institute of the Philippines), and was awarded as the Most Outstanding Member of the Philippine Marketing Association (PMA) in 2014. 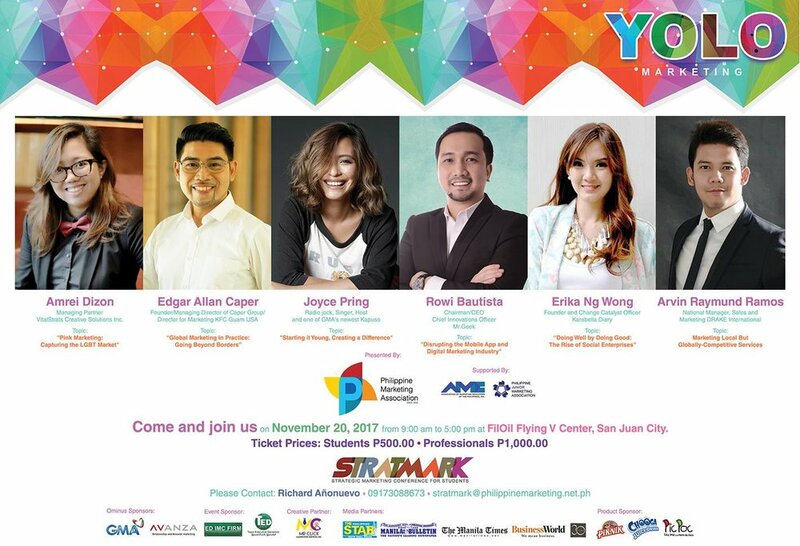 She has held several board positions in the Advertising Suppliers Association of the Philippines and the Philippine Marketing Association, where she served as Director for the Agora Awards in 2017. She is an Honorary Life Member of the Advertising Foundation of the Philippines, Board of Director at the Philippine LGBT Chamber of Commerce, and a Certified Go Negosyo Mentor. Throughout all these opportunities and roles, Amrei makes it a point to balance strategy with creativity. Using strategic creativity, Amrei strives to live out her personal mission of providing growth opportunities for Vitalstrats, the company’s clients, and her advocacies. 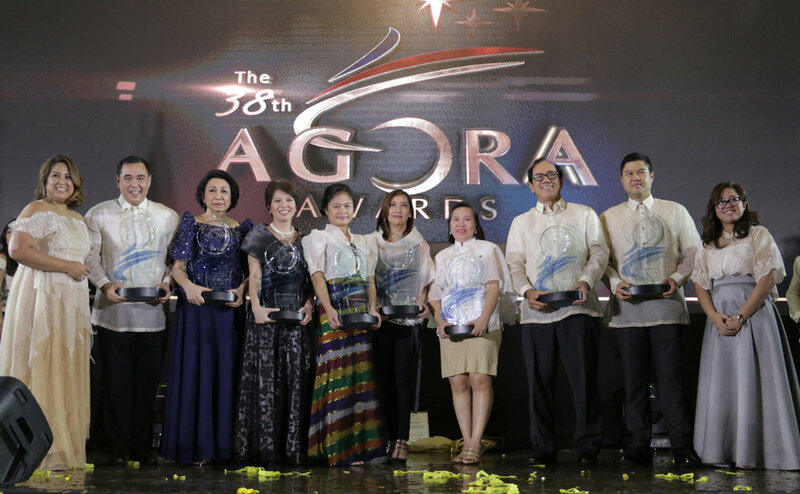 The Agora is, without a doubt, a highly coveted award aspired by many. Being given the role to lead this year’s Agora to seek the best and the brightest in the industry is a great honor that comes with great responsibility. How to market to LGBTs? Don’t just create ads to sell. Commit to be inclusive. Break the stereotypes. Share positive stories that inspire and create impact. Become a catalyst to improve lives. Support their cause. Most of all, practice what you preach. I had the opportunity to share my learnings as an entrepreneur not only to the Entrepreneurship students of the Polytechnic University of the Philippines but also to the people in their community. As an entrep by accident who started with zero business knowledge and learned through trial and error, it is my advocacy to give back and help build more “professional” Filipino entreps. Informative and educational videos produced and created by my team at Vitalstrats Creative Solutions. 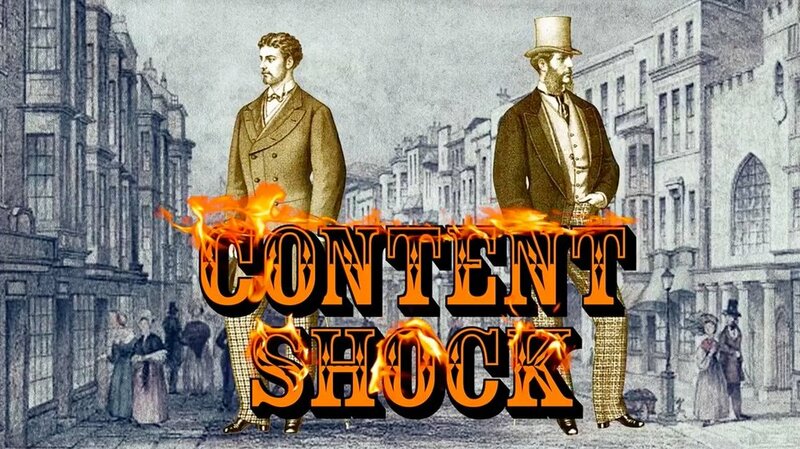 Topics revolve around strategic creativity, marketing & content production.